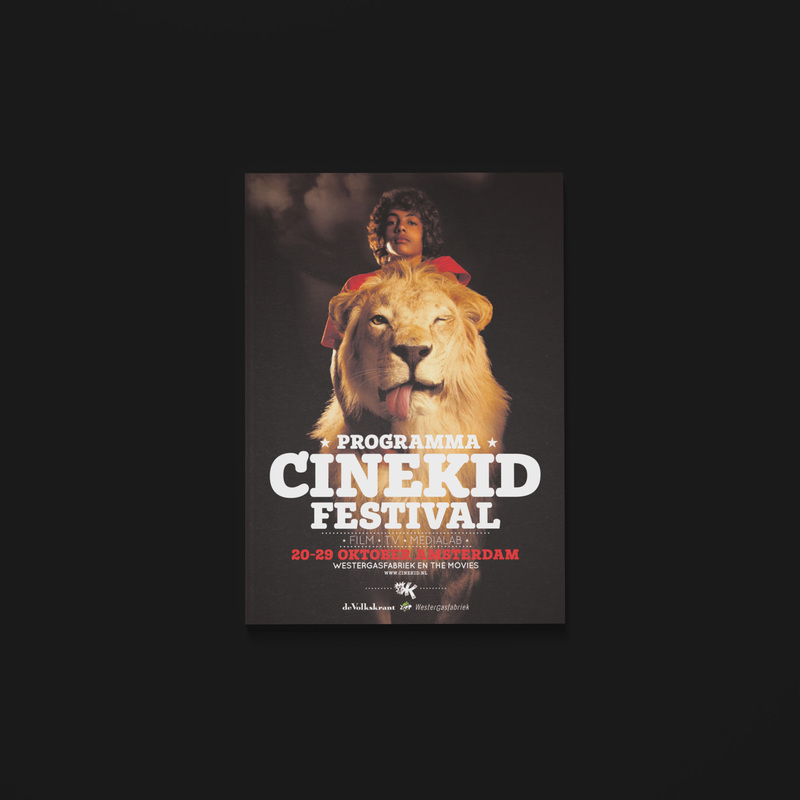 Every autumn, Cinekid organises the Cinekid Film, Television and Digital Media Festival for children during the school holidays. 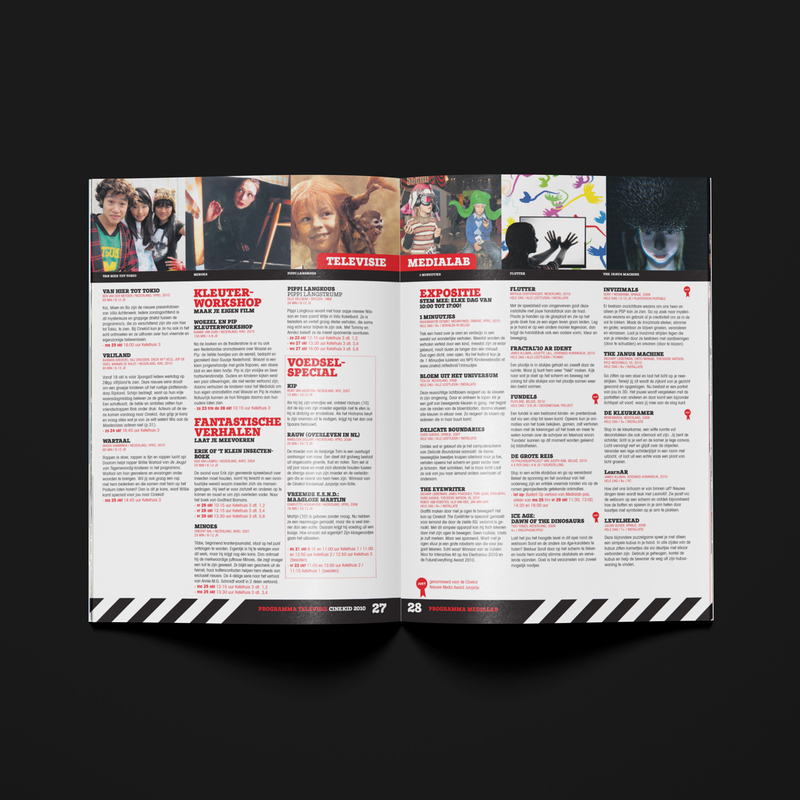 Every year more than 50.000 children are given the opportunity to visit the ten days’ event in Amsterdam and throughout the country (35 cities in the Netherlands). 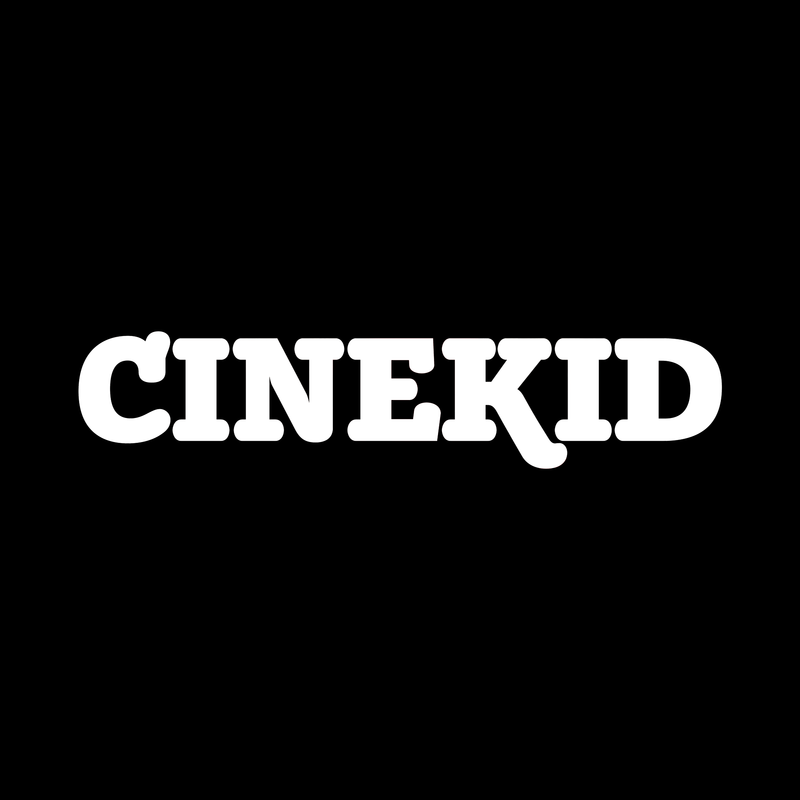 Cinekid covers all aspects of the media industry for young audiences and offers workshops and masterclasses as well as high-quality media. 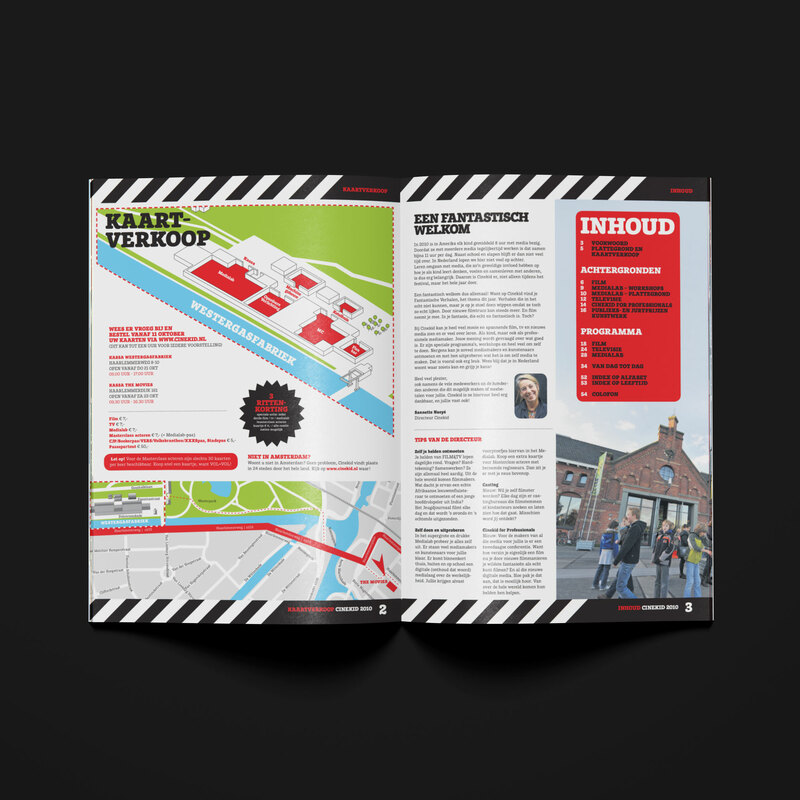 For the festival I’ve designed a new corporate identity, a restyling of the 30 years old logo and the concept and design of the festival posters (which are always based on the logo) and the festival magazine.